Tamer Ali, Senior Vice President and General Manager of Cloud Software products at YourMembership, has over a dozen years working with education technologies. His expertise is aimed at helping organizations in the business of lifelong learning to help them operate more efficiently and engage their audiences more effectively. In this episode of the Leading Learning Podcast, Celisa and Tamer discuss defining changes and emerging trends in the learning landscape, the important– but often underutilized, role of data in learning, as well as tips for how to be successful with learning management systems. [00:20] –This week’s podcast interview is with Tamer Ali of YourMembership, which is a sponsor of the upcoming Leading Learning event, Learning • Technology • Design (LTD) to be held May 18-19, 2016 in Arlington, VA. The event is designed specifically to help professionals in the business of continuing education and professional development find new and better ways to engage learners and create lasting impact through the effective use of technology. [01:07] – A preview of what will be covered in this episode where Celisa Steele talks with Tamer Ali, Senior Vice President and General Manager of Cloud Software products at YourMembership. One of Tamer’s areas of responsibility at YourMembership is its educational software division, YM Learning, which was formed when YourMembership acquired Tamer’s company, Digital Ignite, in 2015. [03:19] – An introduction to Tamer Ali and some background information about YourMembership. [04:48] – When you look back at where things were when you got started in education technologies a dozen or so years ago and where they are today, what differences jump to mind? What do you see as the most important and defining changes in the learning landscape? Tamer explains how they have been legitimized and shares how they have evolved. He talks about how 10 years ago, they were categorized as “CBT” Computer Based Training they and had to justify their existence, to a market where now, in the past 5 years, there has been a rapid adoption in industry credibility in delivering learning over technology. [07:09] – When you think about these changes in learning, is there a particular trend or development you find yourself really drawn towards that you see as having the greatest potential for improving learning? Tamer shares that he has personally found virtual reality to be a really cool adoption. He says it removes the objections that e-learning can’t replace what goes on in a hands-on classroom basis and he’s excited about all the possibilities that this opens up. [09:00] – In regards to cutting-edge technology advancements—virtual reality, artificial intelligence, the Internet of things, is there anything else that comes to mind that you see as an option or a potential place to take those technologies for learning and for organizations in the business of learning? Tamer explains that it all comes down to bandwidth and processing power. He shares some examples of chip power and virtual reality to illustrate that it is now possible to do things that were unheard of before, and all at a reasonable cost. [11:23] – I know you’re kind of big on data—and, more precisely, the business intelligence and insight it can offer an organization—because you wrote a commentary on that topic for the most recent issue of the Tagoras Association Learning + Technology report. What do you see as the role of data in learning? Tamer talks about how this is an exciting time for learning technology professionals because we now have data that proves the validity of our work. He says it behooves us to take this data and use it to prove our work or to help plan our future work. Tamer also adds that most of it is free or within the LMS capabilities. [14:04] – In your experience, do you see organizations using the data as fully as they can? Are you seeing any reluctance or slowness to fully embrace the data and make use of it? Tamer discusses how there is likely some reluctance because of the fear of what the data might reveal but he argues there is never bad data. He explains how even if data shows that something isn’t working it will save a lot of time, energy, and cost in the future. Tamer adds that there are also slow adoption cycles but that both barriers are easy to overcome. [15:36] –You have a lot of experience working with organizations as they search for a learning management system and then helping some of those organizations implement, launch, and maintain a learning management system. 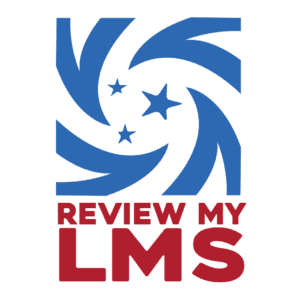 Do you have lessons learned about the effective use of an LMS or tips for the successful use of a learning management system? And pitfalls to avoid? Tamer shares that the one of the main things they have learned is that simplicity is beautiful. He recommends building in iterations, focusing on achievable deliverables as a first release. He says this helps build momentum and calibrates feedback along the way. [18:17] – How do you approach your own personal lifelong learning to keep growing your knowledge and skills? Tamer reveals that he has learned to harvest information from wherever he can. He shares that he saves articles and PDFs in order to read them later. One of his favorite tools for article saves is Readability. A reminder to check out the upcoming Leading Learning event, Learning • Technology • Design (LTD) to be held May 18-19, 2016 in Arlington, VA which will be sponsored by YM Learning, a division of YourMembership.